Small Radius Fabricated sinks have a great modern look and are increasing in popularity. Current manufacturing process for Small and Zero radius sinks does not allow for good drainage. Standing water in these types of sinks is common. ANO presents the PerfectFlo™ Sink that solves the problem. Watch the video and judge for yourself. 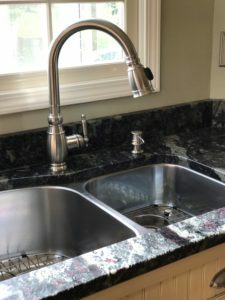 What Size Is the Hole for the Faucet in the Countertop? 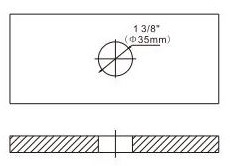 All of the kitchen faucets except the RO/filter faucet need an 1 3/8″ hole – see below. To install the faucet into the hole, you need to remove the black plastic thread protectors on the water lines. 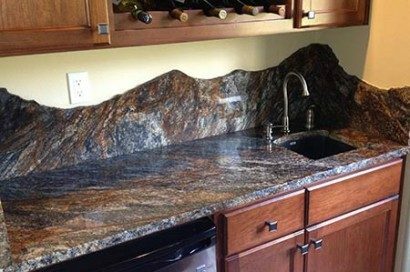 Looking for some unique countertop designs? Take a look at these. 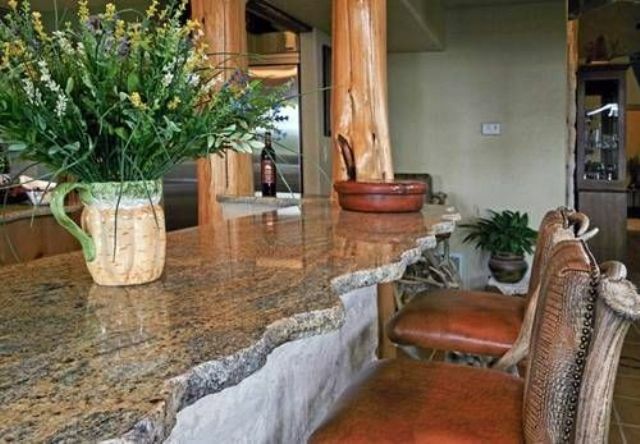 On/Off handle is forward motion only, so there is no interference with backsplash. Lead-free not just meet the code but truly lead-free. Faucets are sand cast stainless steel, so all components match. 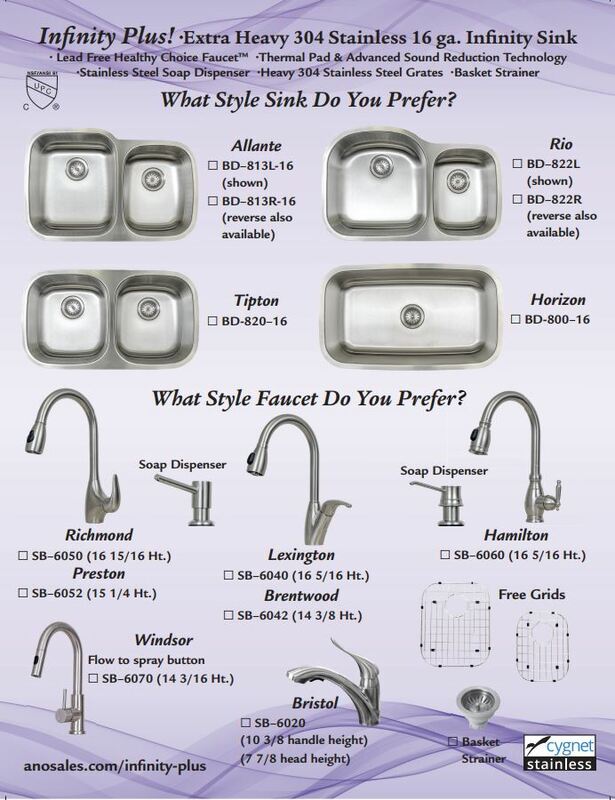 Many other brands faucet have more than one color tone. Excellent color match to the Infinity and Decora Series stainless steel sinks. 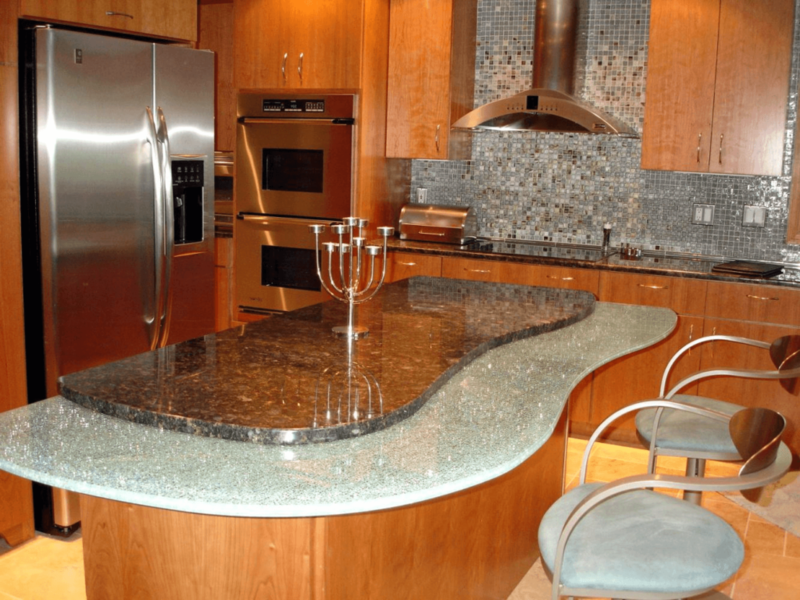 Solid Stainless means no finish to come off, and minor scratches can be buffed and repaired. Spring retraction system so there is no weight to bang on plumbing or hang up on items stored under the sink. Soap dispenser with a longer spout, so it does not drip on granite or rundown sink. We recently received a call from a consumer who said that there was water leaking from the base of his faucet, from the flow to spray button on the head, the faucet would not switch from flow-to-spray, and the on-off handle sometimes stuck when turning the faucet on or off. That is a lot of issues for one faucet, so Jim decided he needed to take a look so he scheduled an appointment. First, he removed the aerator and found a good deal of debris – see the bottom picture. He then removed the cartridge – the part under the handle that turns the water on and off and mixes the hot and cold. Inside the cartridge, he found a drop of solder that must have come from the pipes where it was left when the valves were changes. The handle was sticking because of the drop of solder. When the handle was forced, it shaved the drop of solder, and the shavings continued into the faucet blocking the flow-to-spray switch. The homeowner was not there when the faucet was installed, so he did not know if the valves were changed. When Jim wiped the cabinet after finishing the repair, he found the large drop of solder in the cabinet that was left behind by the install. When a new faucet is installed, the water lines should be flushed thoroughly before the water lines are hooked up. Flushing would have removed the solder and other debris in the lines and avoided the leaks and service call. Infinity Series sinks are drawn from Certified 304 stainless steel which is appliance grade steel that will match appliances. Many sinks are made of 301 steel which contains less chromium and less nickel, so the sinks are not as bright and the finish will turn dull quickly. Infinity Series sinks are individually drawn and welded, so all sides are equal. This process also makes the sink heavier, so it is quieter. The finishing process is fully automated for consistency. Infinity Series sinks are certified by an independent lab to meet all major model codes. Many brands do not meet building codes. Infinity Series sinks have an exclusive thermal pad on the bottom. Infinity Series sinks have sound reduction technology from the automotive industry instead of smelly sound pads made from recycled tires. All sinks are labeled, and ANO stands behind the sinks with a lifetime warranty on the finish. ANO is now offering the Infinity Plus Package, a complete matched component system of Cygnet Stainless Sink, Cygnet Stainless Lead Free Healthy Choice Faucet™, stainless steel soap dispenser, grates, and basket strainer. 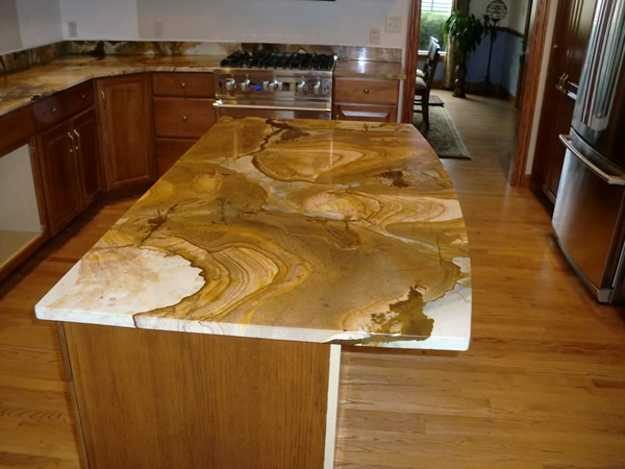 All components are 304 stainless steel and designed to last as long as your stone countertop. Here is a short video on the new features of the Cygnet Stainless Sinks from ANO. 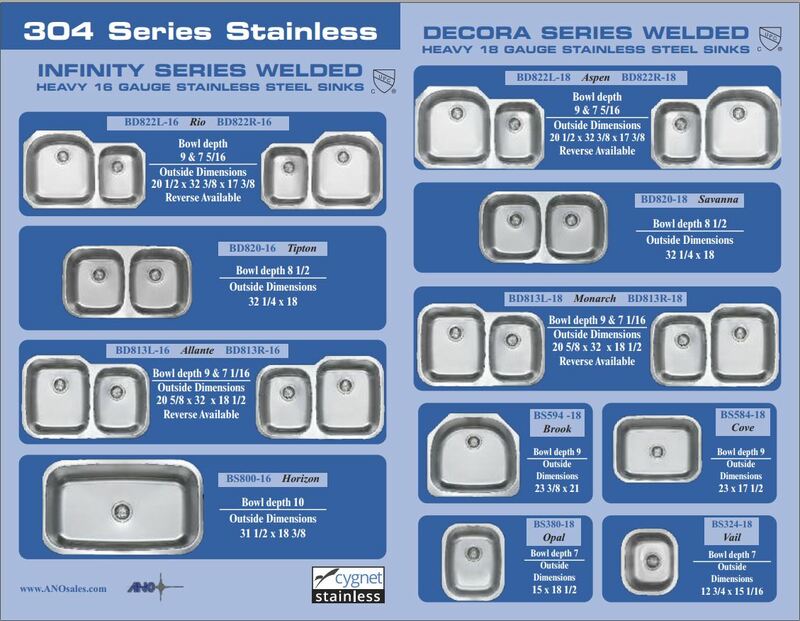 At the bottom is the new Cygnet Stainless sink brochure.